You will find fun, friendship and flowers at the Benfleet Floral Art Group. We are a friendly group and would welcome some new members, so if you love flowers why not come & join us? We currently have 40 members - visitors and new members are always welcome to come and join us at any of our meetings. We meet at 7.30 p.m on every 4th Wednesday of the month, (not in August or December), in Richmond Hall, High Road, Benfleet, SS7 5HE. Car park access is via Richmond Ave. We regularly have demonstrations, a sales table, and teas. Our Annual Subscription is £20, with monthly admission of £3.50, and visitors pay £6. For further information please use the contact form. 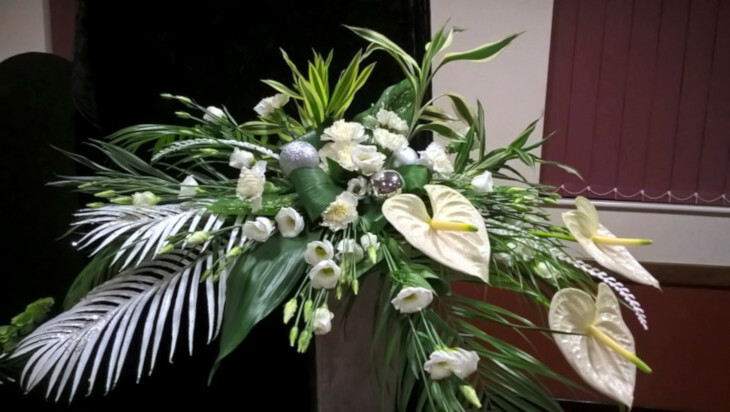 We are affiliated to NAFAS (National Association of Flower Arrangement Societies).